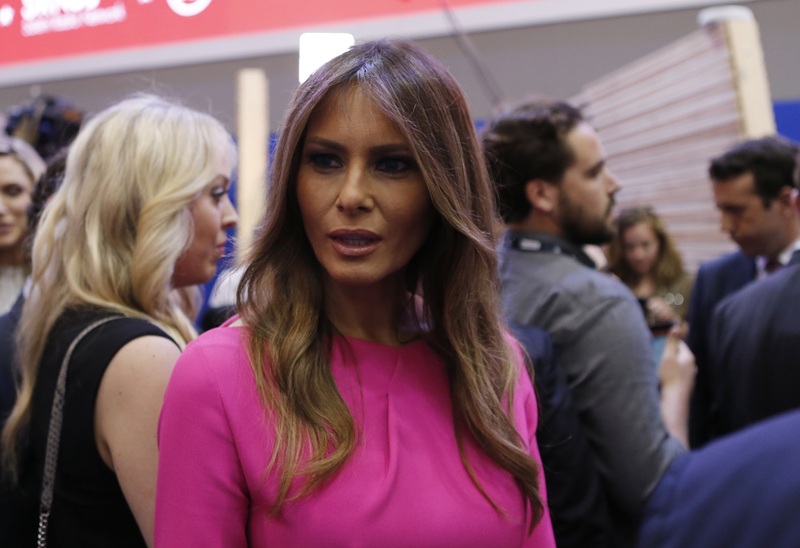 Melania Trump, wife of Republican front-runner Donald Trump, has been making headlines lately as Trump and Texas Sen. Ted Cruz spar over each others' wives. The 45-year-old has purposely kept a relatively low profile on the campaign trail, but as her husband gets closer to securing the Republican nomination she's been put into the spotlight. Melania Trump, originally Melanija Knavs, was born on April 26, 1970 in a village near Sevnica, Slovenia, which was then part of communist Yugoslavia. She's the daughter of a car dealer and a fashion designer, and has a sister named Ines. Trump, who became a U.S. permanent resident in 2001 and a citizen in 2006, would be the first presidential spouse to be born outside the United States since Louisa Adams, wife of John Quincy Adams. Trump began her modeling career at the age of 16, then signed with an agency in Milan when she was only 18. She took a break from full-time modeling to attend architecture and design classes at the University of Ljubljana in Slovenia, but then returned to the profession. She moved to New York in 1996. Over the years, she's appeared on the cover of various magazines such as Vogue, Harper's Bazaar, Ocean Drive, Avenue, InStyle and New York Magazine--and a now-famous 2000 cover shoot in which she posed naked for British GQ on a fur rug sporting handcuffs. She's also been in shoots for Sports Illustrated Swimsuit Issue, Allure, Vogue, Self, Glamour, Vanity Fair and Elle. Trump has even been in several television commercials--including one for the insurance company Aflac, in a spot along with the company's famous "Aflac" duck. She also co-hosted "The View" with Barbara Walters. Causes she's been involved in include the Martha Graham Dance Company, the Police Athletic League, the Boys Club of New York, The American Red Cross and Love Our Children USA.